The first Private Eye was stapled together on the carpet of the home of cartoonist Willie Rushton’s mother, who would revive the editors with small trays of tomato soup and beer. Fifty years on, the satirical fortnightly’s birthday was celebrated with canapés and champagne in the Guildhall, the City of London’s grandest building. Looking down upon the guests – men, mostly, in the first flush of old age – was a statue of the Duke of Wellington. From his head, a speech bubble read: ‘Publish and be damned’. 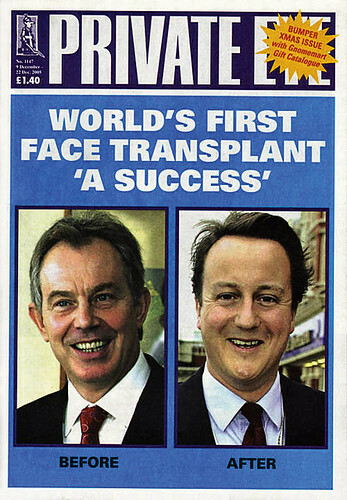 Tony Blair (left) and future PM David Cameron compared, 2005. Top: Controversial cover published days after the death of Diana Spencer, 1997. Remarkably, the victor of Waterloo said these words. It remains unlikely, however, that he would have approved of anything about Private Eye save its cartoons (which everyone enjoys). Its front cover is always a photograph of someone important undermined by a scurrilous caption. Its opening pages buzz with gossip of dubious reliability across public life. Its letters are mainly complaints. The middle pages are home to spoof journalism, parodies and running jokes such as, in the early days, the invented diaries of the wife of prime minister Harold Wilson and now the newsletter of a school run by a headmaster called Cameron and its deputy principal, Clegg. Its best gags – such as its euphemism for inebriation, ‘tired and emotional’ – have entered the national argot. At the back lies the real investigative journalism. It is read almost exclusively by its subjects, and their lawyers. 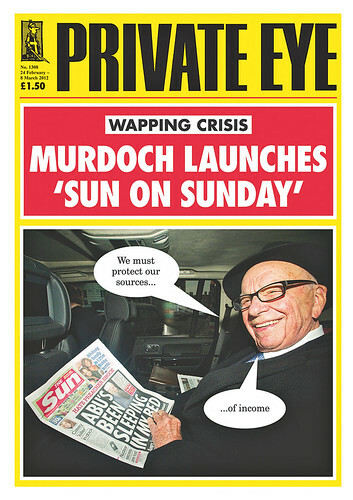 Popular subject Rupert Murdoch in Private Eye no. 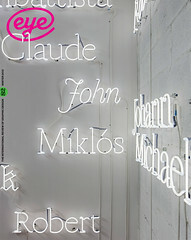 1308, 2012. The greatest in the land have taken Private Eye to court: Winston Churchill’s son Randolph, mad newspaper proprietor Robert Maxwell, tycoon Jimmy Goldsmith and, quite recently, the former BBC political editor Andrew Marr. They usually win. But its litigants are the least of its critics, who call it sexist, anti-Semitic, philistine, prurient and tasteless. Theatre critic Kenneth Tynan asked early on: ‘When are you going to get a point of view?’ But with Richard Ingrams (its editor 1963-86) employing both the Marxist Paul Foot and the proletariat-bashing Auberon Waugh, consistency was never an aim. Causing offence was. In 1976, it was described as ‘on its day the most unpleasant thing in British journalism’. Its accuser was Christopher Booker, its first editor. So why a party in Britain’s richest and most conservative square mile? It was a less inappropriate venue than it seems. 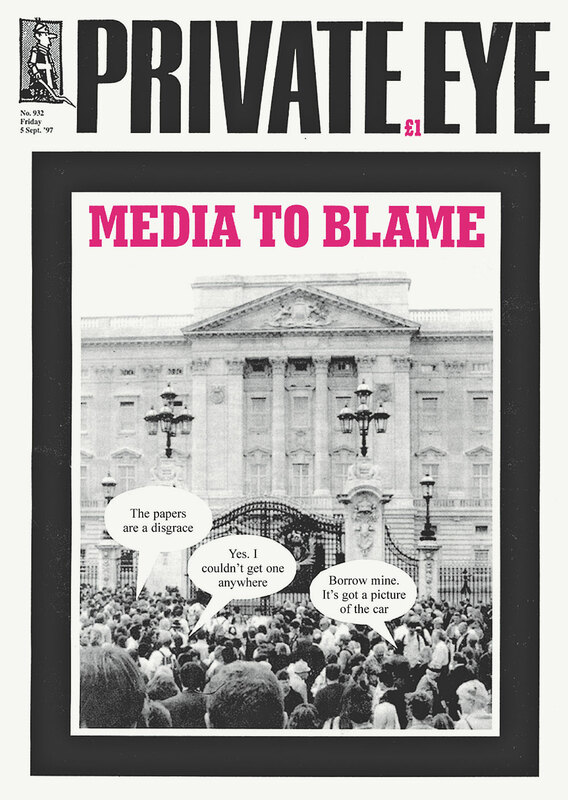 Private Eye has always been run by former public schoolboys, who know the sort of people who make it to power, and how to irritate them – although, like the current Old Etonian prime minister, they are more often amused. Seek the magazine’s origins in France’s Le Canard enchaîné, Germany’s Simplicissimus, Mad magazine (US), but also in the Shrewsbury School magazine, The Salopian, which Ingrams, Booker, Foot and Rushton edited.